I have a few cards to share today. The first two are ones that I made for PTI's Create Along With Us: March 2016. Isn't it gorgeous and so creative? as well as my Songbird leaf die and Heart Border die. and the hearts at the top are from Reverse Confetti's Stamped Note Confetti Cuts. I love her gorgeous card! in versamark and heat embossed the in white. I added some aqua mist, hawaiian shores and tropical teal inks with my blending tool. and heat embossed it on a strip of black cardstock. Leigh , awesome cards !!!!! Great that decorated cake ! Ooh what a fabulous post! Who wouldn't love a pretty cake like you've showcased on your first two. Your third card is so calming and beautiful. Wonderful cards- great idea to make 2 wedding cake cards. These are all beautiful! I'm especially grateful for your sympathy card inspiration as I unfortunately need to make some today. This is calm and elegant! Oh Leigh, this is gorgeous! I used the same inspiration, but yours came out waaaayyyyy better than mine. Love it!! You captured that bright and happy cake - they are beautiful! Great wedding cake cards based off Amy's beauty, Leigh! Your last card is perfect as a sympathy card, and those are quite challenging to make. All so pretty! The wedding card is extra bright and happy, perfect for the occasion! Really like the combination of dies on the first card and the simplicity of the second. I never get enough of your delicious creations!! BEAUTIFUL!! cake cards!! and such a sweet take on Anita's card - I would like to try that technique! WOW, those wedding cakes are fabulous, Leigh! Love the pretty 'cakes' and the bold black on the Muse card - so glad you joined us this week, Leigh! Leigh I love the cakes, but your Muse card is so beautiful and simply done! Beautiful, beautiful cards Leigh! At first I thought you had already gotten your PTI order to make your first card, as it looks so like Amy's! What a wonderful job re-creating it...just lovely! Like how you made one starting on the other side of the card too!! 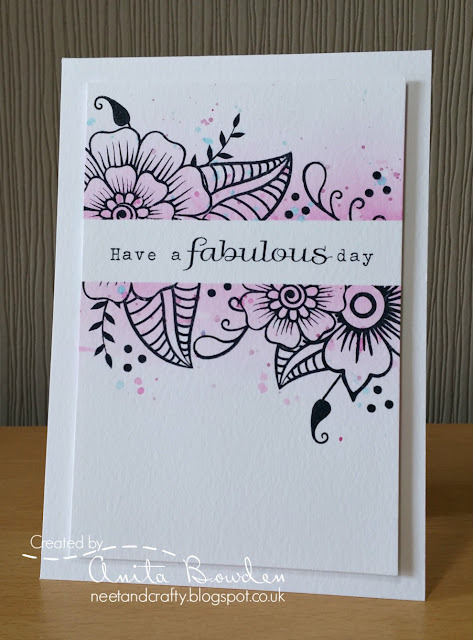 And your sympathy card is absolutely stunning...a real CAS beauty!! Beautiful cards, Leigh! Love your take on the inspiration! Fabulously done! Fabulous cards Leigh! Your sympathy card is stunning! Wow!! That wedding card is just stunning!! I love the shading on the sympathy card too!! Awesome cards! 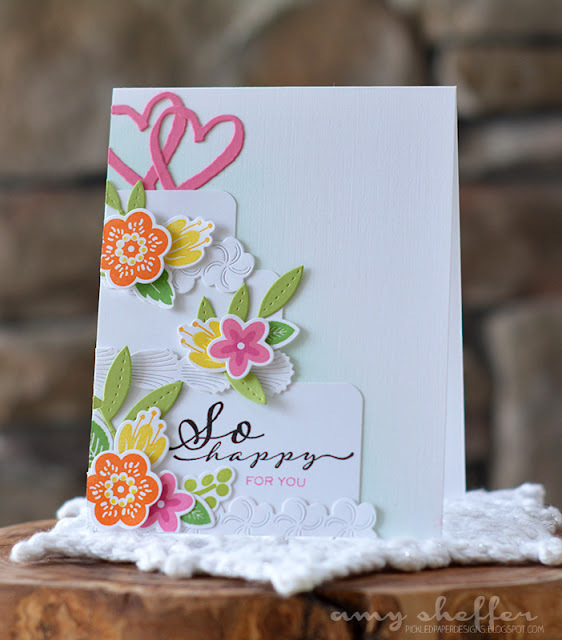 I love the embossing and the shading on the sympathy card! Your card is so pretty, love the bright colors! Your wedding cards are fabulous, so full of cheer for the occasion. And your take on my muse card is just beautiful, my absolute favourite shades of aqua and teal. Such a classy make. Love all your cards! SO beautiful! What a fabulous sympathy card. Those are also tough for me.